There are various recommendations how long one should not fly after surfacing from a dive. DAN has recently done a study where they did Doppler measurements on a plane and recommends an interval of 12 hours after a single dive and 24 hours after repetitive diving. Here, ps is the surface pressure and a and b are the usual Bühlmann coefficients. No-fly-times in hours for different compartments plotted against gradient factor. The labels are the tissue half-times in minutes. The waiting time depends strongly on which tissue we are dealing with. For reasonably large gradient factors, only the tissues with half-times of several hours contribute significant waiting times. Remember, for this calculation, we assumed the loading is at its maximal value when you get out of the water. For realistic sports/tec-diving scenarios (as opposed to saturation diving) that should be quite hard even on a weeklong liveaboard with at least five dives a day. If slightly faster tissues are leading, the inferred no-fly times are much shorter, probably shorter than the queue at check-in. I looked at some data from real dive trips where people got everything out of their booked liveaboard but they got nowhere close to exciting the slow tissues. In the Subsurface planner I had to do five consecutive 2-hour dives with less than two hour surface interval to see at least some ceiling for the 239 minute compartment. In the plots, this has the blue line and leads to a no-fly time of much less than 5 hours. 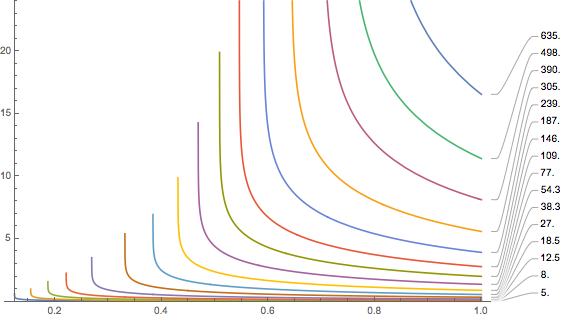 Maximal altitudes in meters for the different compartments as a function of the gradient factor. All these calculations are for air (or nitrox underwater since all we used was the assumption that the nitrogen saturation is at the limit). In particular, in view of an earlier post (N2 vs. He, what’s the difference?) there should not be large differences. You could try to repeat the same argument for VPM-B but according to that model, if you followed it during the ascent, the no fly time would always be infinite: The ascent is determined such that when you surface and stay at ambient pressure, you will just create the maximum amount of free gas that is barely allowed. So going to any altitude and lowering the ambient pressure further would release more free gas than allowed, no matter how long you waited. The only way out would be to produce fewer bubbles on the earlier ascent while still in the water, then you would have some reserves to go to altitude. What are we supposed to conclude from this? One takeaway message is waiting for the recommended 24 hours is not totally off, in particular if there is a chance that your very slow tissues have loaded a significant amount of nitrogen. On the other hand, for realistic dives, 24 hours is likely on the very conservative side. At least from the perspective of decompression theory. From this perspective it is a total mystery to my what kind of reasoning dive computers use to determine a no-fly time. Apart from these model considerations, DCS symptoms often enough do not show up immediately after a dive but up to several hours later. And when you are in that situation that you find yourself with DCS symptoms (even those that would have occurred irrespective of flying or not) your chances for immediate proper treatment are probably much higher if you are not confined to an aircraft above the middle of the ocean. So even from that perspective it makes sense to wait a bit more to make sure you will not need a chamber in the next few hours. 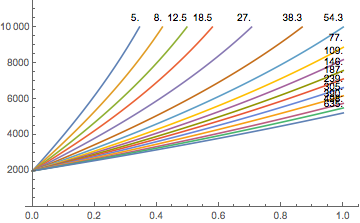 PS: If you want to play around with the formulas, here is my Mathematica notebook. I’d like to see the effect of breathing O2 at the surface on the no-fly time (NFT). Would it be possible to start with a substantial dive (say: 20min@40m) to preload the compartments and then calculate the NFT for different scenarios? up to 4 hours (that probably requires a large O2 tank)? Some sources state that they have had no adverse effects using a 1:4 ratio, so that every 1 minute of O2 would cut 4 minutes off the NFT (starting with 24h). My mathematica knowledge is “I believe it is a modelling program with mathematics included”, so that isn’t the swiftest way to go for me. Would it be possible to add the NFT to subsurface? I tried to fake it with a dive at altitude and some superextended deco stop @3m on O2, no conclusive result so far. Of course it would be possible to add this calculation to Subsurface. But the resulting no-fly times (assuming not too extreme dives where deco is typically determined by the faster tissues, would be radically shorter than what is suggested by the agencies like DAN. As a rule of thumb, you could probably say that in the first plot you can ignore all tissues with half times longer than the dive time (but careful with multi dives per day for several days, there you might be able to also load slower tissues). I would not feel to good with providing a program that says “no fly time 90min” when DAN says, you should better wait 24h. I don’t want to be the person that fingers are pointing to when blame is to be shared when it comes to a complication on a flight. That said, my personal feeling is that either there is another relevant process that is not captured by the traditional tissue loading models or the agencies’ recommendations have quite a lot conservatism built in. Regarding breathing O2 at the surface: That would indeed lead to much faster off-gassing (as the nitrogen gradient between tissue and breathing gas is about 0.8bar lower) but the amount of time saved once more depend on which tissue is controlling the limit. 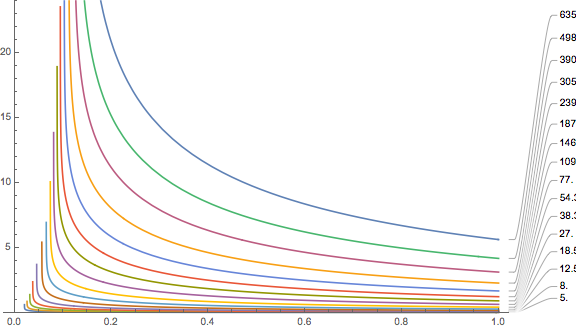 To see the effect in the mathematica notebook, in the assignment to “values”, replace the f-> 0.79 by f->0.